WARNING: If you haven't seen the movie and plan to see it, you will NOT want to read this post until afterward because I talk about parts in the movie and I also talk about the ending so you've been warned! I kept hearing nothing but good reviews about Maleficent from friends and co-workers so when I got invited to see the movie with some friends, I obliged. Maleficent was the evil lady in the Disney classic, Sleeping Beauty (she's the antagonist in the classic) so in this film we get her side of the story to learn why homegirl was so damn evil and had it out for Aurora aka Sleeping Beauty. I always like to hear all sides of any story if I can; I'm so fascinated by how events are interpreted different ways by each person that's a part of it. It's the psychology lover in me that likes to understand how different factors affect and shape the mind and outlook on life; why people act the way that they do. 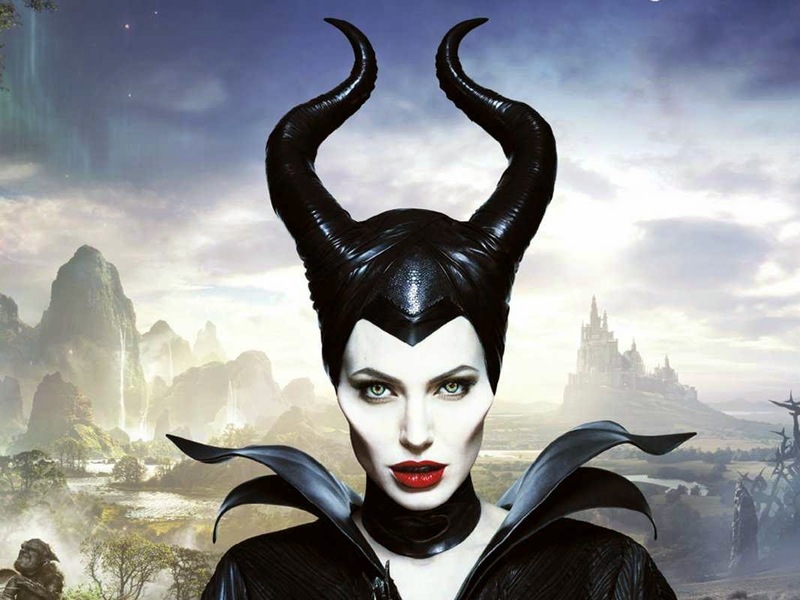 The quality and imagery of the film was beyond amazing, the costumes and effects were great and from a professional makeup artistry standpoint, I totally loved the makeup and prosthetics like her ears, contact lenses and the extra cheeks to create those severe cheekbones for Maleficent. I loved the imagery of it all because I love fantasy type of stories that involve mythical adventures, creatures, fairies, etc. Outside of the great visuals, I appreciated the film's important messages portrayed. Below are some prominent themes I picked up and liked right away from the movie. Words are powerful, intentions are even more powerful and what actions you take tops it all off into a dark triad of negativity that cannot always be turned around. Not only does it hurt someone else, that negative energy has no choice but to eventually make a swift return right back to you. Maleficent has been hurt and betrayed by her friend who becomes the King so she pays the favor back and curses his first (and only) born daughter, Aurora. What she doesn't expect later on is to grow to love the girl (as if she were her own daughter) and begins to feel bad about throwing a curse on her. When she tries with every bit of power in her to reverse it, she gets told by the Universe that she can't. In our everyday lives we get hurt by people and sometimes let our emotions guide us into doing things sometimes that feel good in that moment of pain but hurt ourselves and oftentimes others as well in the process. Many times these things can't be undone.In heated arguments words can be forgiven but they will never be forgotten. What you do in a moment of being upset, you could regret later. Throw your pride out the window and admit you're wrong and sorry if you get a chance to. Maleficent wasn't able to reverse the curse she had cast, it had to be carried out. She had to witness the consequences of hurting someone innocent but she got a second chance to right things by admiting she shouldn't have done what she did and emanating an energy of love. I love that it was her kiss (on the forehead as a mother would do a child that's sleeping) that awoke Aurora and not the handsome fellow. People make mistakes and do mean things sometimes but if we can hold ourselves accountable for our actions and work to right things, many times we get a chance to right them. But why take that chance? We must be more mindful of our actions before hand. It's never good to wish ill on anybody, because it comes right back to you, especially anyone innocent in the whole situation. If you saw the movie, did you take anything away from it? If you did, please share.